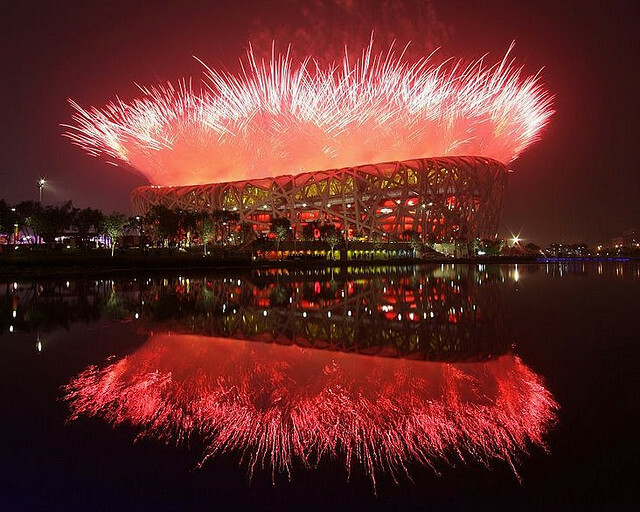 Due to car restrictions, Beijing cut carbon emissions by tens of thousands of tons during the 2008 Summer Games. Photo by Kathy Zhuang. The National Center for Atmospheric Research, a body of the U.S. National Science Foundation, found that carbon monoxide and carbon dioxide emissions radically decreased during the Beijing 2008 Olympics, largely due to car restrictions. Half of privately owned vehicles were banned from the Chinese capital over the course of the 29th Olympiad, reducing CO2 emissions between 24,000 to 96,000 metric tons per day. This reduction represents one-quarter of 1 percent of what is required to prevent the planet by warming an additional 2 degrees Celsius (or 3.6 degrees Fahrenheit) by the end of this century. The American Public Transportation Association released its monthly Transit Savings Report. This July, transit users will save an average of $809 this month and $9,702 for the entire year in combined fuel and parking savings. New Yorkers, with the most expensive parking in the U.S., offers the most dollar savings for the public transit rider, at an average of $1,197 per month. New findings from the the British Antarctic Survey (BAS) and the Australian Commonwealth and Industrial Research Organization (CSIRO) identified pathways for CO2 absorbed into the world’s oceans. In the Southern Ocean, the confluence of the Southern Atlantic, Indian and Pacific Ocens, 40 percent of the world’s CO2 emissions are absorbed and sunk to the ocean floor. The global ocean network acts as a stabilizer against climate change, slowing down global warming by as much as 25 percent. The European Commission published a comprehensive report of its sustainability projects highlighted at the Euro-Mediterranean Conference on Research and Innovation meeting that took place earlier this year in Madrid. This report summarizes ongoing multilateral initiatives between E.U. member states and unaffiliated states in the Mediterranean across a myriad of research and development projects, including health, informational technology transfer, climate stability and infrastructure delivery.